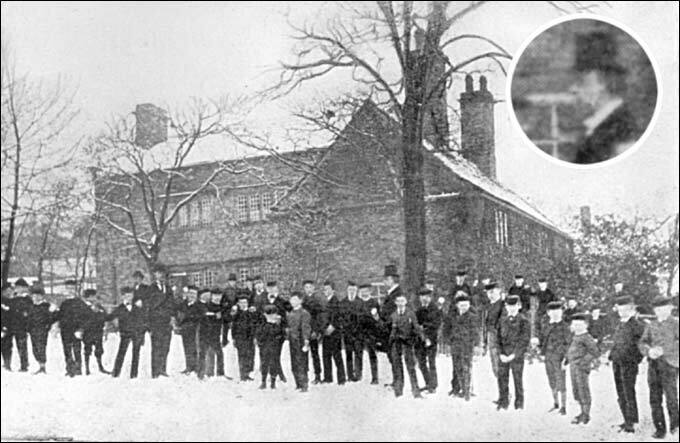 This fascinating photograph showing virtually the whole school of around 35 pupils assembled with Rev Alfred Easther (inset) for a snowball fight on a winter's day around 1865. The schoolhouse is in the background and behind it, at right angles, is the schoolroom (later Old Dining Hall) with a dormitory (later known as 'Old Dormitory', then 'Dorm 4' and now a staff 'quiet room') above. These latter buildings were completed around 1848, when Easther had only recently arrived as Headmaster.